Do You Care Why Parts Fail? Easily see why parts are failing by obtaining high quality images at the push of a button with the VHX digital microscope! 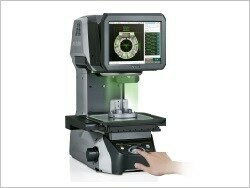 This system has solved many different applications for failure analysis, quality control, and R&D. Download this brochure to see how this system can provide a solution to your applications! 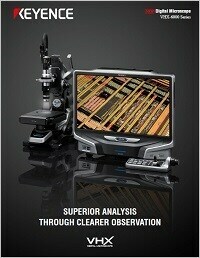 Analyze form, contour, and roughness with 780,000 data points in a single image. 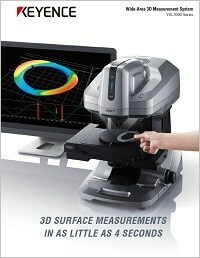 See how the VR takes 3D surface measurements in as little as 4 seconds! Struggling with Hand Tool Measurements? Are you fed up with complicated and time-consuming measurements with calipers, mics, and height gages? 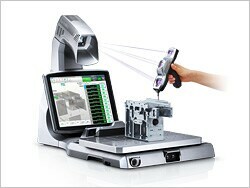 The XM is a portable CMM that simplifies and speeds up 3D inspection. Anyone, anywhere is capable of measuring a part in seconds with this portable, automated inspection system; Limitless applications, unmatched ease-of-use.